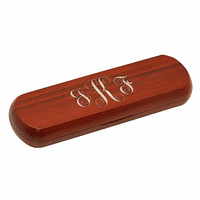 Your favorite golfer will be proud to display this rosewood-finish golf ball box on the desktop or dresser, and is compact in size to take along on golfing vacations! The box measures 7 3/4" x 6" x 2", with spaces inside to hold 12 golf balls. 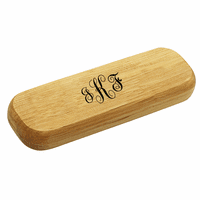 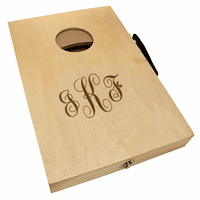 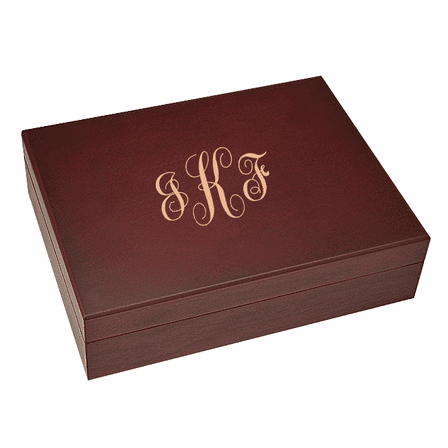 The case cover can be personalized with a classic Script-font monogram, adding an elegant touch to the beautiful rosewood box, and the engraving is available at no extra charge. 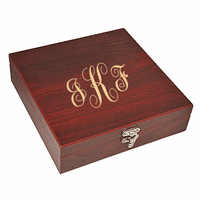 The golf ball case comes packaged in a handsome gift box.